This was my first Competition style bbq sauce. Also Developed at home in my kitchen. Originally named “The Kitchen Sink” I added so many spices I found that name was fitting. After some fine tuning the name “Competition Brew” stood out in my mind. A sweet but savory bbq sauce goes great on all meats especially Brisket and Competition style Burnt Ends! 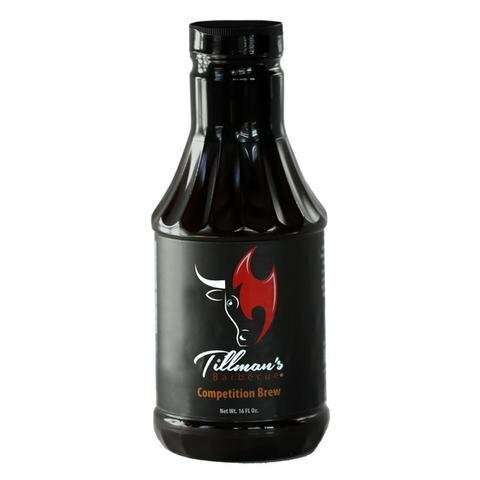 Mix Competition Brew with Tillman’s Spicy Chipotle Apple to create an award winning combination.